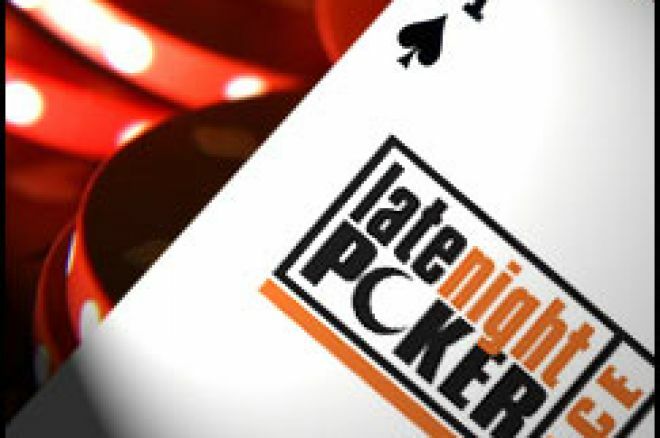 The next series of PartyPoker Late Night Poker is being filmed in Cardiff from the 23rd of October. Some added interest for poker fans comes from PartyBets.com, who are offering odds on the winner of the series. Amongst the early favorites are Andy Black, Roland De Wolfe and Liam Flood. As mentioned earlier this week on UK PokerNews, the event will be televised on Channel 4 in the UK and Ireland early next year before being show internationally. A PartyBets.com spokesman said: "With so many great players in the line-up it is very hard to make the market and pretty much impossible to make a concrete favourite. Ian Frazer and Liam Flood are amongst the frontrunners because of their previous success in similar formats, while Pascal Perrault is fancied on the basis of form." "Odds certainly spark debate. We just hope we don't catch a cold with poker betting like we did when a punter made $25,000 by backing Jon Kalmar with $100 to make the final table of the WSOP Main event at odds of 250/1." Personally I think that Robert Williamson III has a genuine chance to take home the title. This is a great topic for all the readers of UK PokerNews to discuss in our Poker Forum. Tell us who you think will win!